News broke yesterday that McLean-based NOVA Firearms, which was slated to open its second shop in Arlington next month, canceled plans altogether following harassment from Michael Bloomberg and other anti-gun activists. I wrote about the gun shop back in May and supported their efforts to open the Arlington shop. As of July 20, 2015, Nova Firearms has canceled its plans to open an additional location in Arlington, Virginia. We wish to thank our many friends, customers, and supporters who have stood by us during our recent attempt to expand our business. We now plan to explore better opportunities in the area to expand our business so that we can continue to serve our customers, including those in Arlington. For the record, our interest in Arlington began only when a representative of the Arlington landlord asked us to consider leasing the space in question. We invited the landlord to our current location in nearby McLean, Virginia so we could get acquainted. We’ll never forget his words of encouragement and toleration to us while standing in our gun shop: “I don’t tell the florist what kind of flowers to sell, and I won’t let them tell you how to run your business.” Thus we signed a lease for the explicit purpose of selling firearms. Later the landlord complemented our work to prepare the space for our business. When news of our planned location in Arlington became public, there were some local critics; however they enjoyed outsized influence when anti-civil rights campaigns backed by billionaire Michael Bloomberg picked up their cause. Make no mistake, whether it is billionaire Michael Bloomberg or a few local critics, an attack on a gun dealer like ourselves is an attack on the Second Amendment. Those who wish to ban gun shops also wish to ban private ownership of firearms. When the opponents of gun ownership fail at the ballot box, they resort to social pressure and interference with the private business of others. 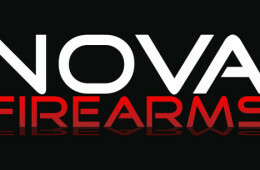 Nova Firearms will continue to grow, and we will continue to serve residents of Arlington and beyond. To our friends across America, take note of our location. We are on the front lines of the Second Amendment, along the banks of the Potomac River across from Washington, DC. Just as free speech is the great bulwark of liberty, so shall Nova Firearms serve as the foxhole of the Second Amendment in the backyard of the nation’s capital. The gun store had leased a space at 2105 N. Pollard Street, causing outcry from members of the community. However, the store’s would-be landlord said today that he has reached an agreement with NOVA Firearms to cancel the lease. The debate over the gun store heated quickly with County Board candidates speaking out against it and the National Rifle Association coming out in support. Petitions were launched forand against the store, accumulating thousands of signatures. Conservative media outlets ran articles in support of James Gates, the Marine Corps veteran who co-owns the store, drawing national attention. Community members — and owners of businesses in and around the small shopping center the gun store was to open — took their concerns directly to landlord Kostas Kapasouris. This is truly a sad state of affairs. Small business – especially of the firearm variety – bolsters local economies. Why should a gun shop be treated differently than other small businesses? They also pay taxes, shift through paperwork, employ people, and pump money back into the economy. Targeting gun stores has morphed into harassment and must be quashed. No gun store should fear retribution for existing and promoting true gun safety. Let’s offer NOVA Firearms are continued support and hope that they open sister shops elsewhere in the Northern Virginia area.